Over several years, video gaming has turned out to be a multi-billion dollar industry. Video game entertainment is a sector that involves everyone. However, most people are not aware that a video game can take several months or years before it is released. For instance, the music contained in video games is normally overlooked. Whereas most people praise movies and TV shows soundtracks, today video games with the best music are being admired. At the moment, most video games are being marketed by the strength of their soundtrack. Hence, apart from the theme of the game and the characters, game soundtracks have become an important element. It has also made people start choosing games based on music and the composer of the music. Why are games with the best music popular? The main aim of a video game is to provide information and fun. This means the developer should incorporate every element to make the game entertaining. The best video game is the one that can be able to entertain and educate. This means that the character, the theme, the design and the music of the game are very important. A combination of fun game-play with the right music in the background can elevate a game’s quality to another level. Video game music is classified as the soundtrack that accompanies the game. Some years back, video game music was very simple. But with advancements in technology, the soundtrack has grown to a different level. The music is now an element of the game, where some gamers may choose a particular video game just because of the music. Some of the latest video game music is associated with TV shows and movies among other elements. Even though there are still some video games with simple music, today most game music is something to be admired or praised by the gamers. The music is heard over the option’s menu, game’s title screen, bonus content, and during the play. However, in some digital games, the music can change depending on the situation or the action of the game. Due to the introduction of unique and entertaining music on video games, the industry has expanded in terms of job opportunities and revenue. 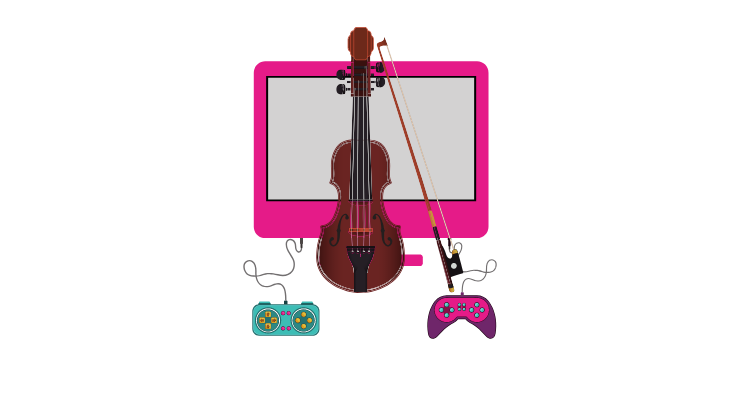 Does the video game music entertain gamers? Appreciation for gaming and game music has become strong among gamers and computer game composers. Today, it is possible to find video game music in CDs and even in music concerts. The game music is one that can entertain you from the start of the game until the end. It is well composed and developed to enhance the gaming experience. To many gamers, the music is the element that provides a strong emotional connection to the game. Actually, most people can tell if a video game is amazing by listening to the music. But there are some players who do not listen to the video game music. Some claim they are too engaged to listen to the music or the music is not their type. Nevertheless, if you are a regular video game player, you can definitely tell the impact of video game music. Gaming music is magical and can trigger different emotions to many players. To some people, it makes them feel good, happy or scared. If you ask a group of gamers to name the top ten games with awesome music, there are some games that cannot be missed. Although you may get different opinions, there are those video games that are considered to have the best soundtracks. Video game soundtrack is important for different reasons. The music may be sweet to some people or epic, scary and sad to others. The video game was developed by Nintendo entertainment. It is a fantastic video game and the music is amazing. According to most video game players, there is no other game that comes close to the music of this video game. Apart from being a popular video game, Undertale is a remarkable one when it comes to the soundtrack. The music is calm, cool and very entertaining. Even though the game was developed some years back, many gamers believe the Super Mario soundtrack is the best ever. Once you start playing, the music moves with the action. It is believed that the music made more people love the game. For instance, when you go underground, the music volume drops. When Halo 2 was released in the year 2004, most people loved the music of the game. The electric guitar of the video game is unusual and spectacular. Being an action and a science fiction video game, the music plays smoothly according to the game’s environment and different areas. Music can make anyone become a hero. This is the case when playing Rayman legends. The rhythm and the songs are outstanding where even the enemies join to perform at the concert. Hotline Miami is another game that people should not miss because it’s on the top ten video games with the best music. When playing the game, the music shifts as tension grows throughout the game. The music also moves together with the moves of the game. Without the music, Hotline Miami would not be popular as it is today. The introduction of various soundtracks on Street fighter 2 was one reason it became popular. Every music track in the game is unique, entertaining and iconic. It is one of the best games that combines music with action. Although most people love different kinds of music, the soundtrack on Final Fantasy 8 deserves recognition. The developers of the game understood the importance of quality music on video games. This is because the music is well composed and suits the game. Every song in this game is a classic. Final Fantasy 8 deserves to be on the list of games with the top music soundtracks. If you are looking for a game with a mix of music, Bastion is the game. Apart from great art and amazing action, the music is excellent. The different tunes and songs throughout the game makes it stand out from the rest. One of the most liked games from NES is Duck Tales. Without its music, the game may have been a regular video game with nothing more to offer. People who have played the game can testify that the music is one of the best.